Looking for a property in Sector-69? Have a property in Sector-69? 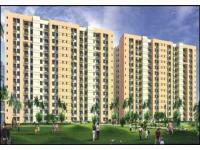 Golf Height Sector 69 is near a Shopping Complex and a proposed Metro Station. Sector-69, Gurgaon is rated 9 out of 10 based on 1 user reviews. Have a good knowledge of Sector-69? Share it and become a Locality expert. Spaze Corporate Parkk, an address that brings to you a complete new world. A perfect offering to the ambitious it confirms the philosophy, 'catalise businesses'. Unitech Vistas-An impressive silhouette of magnificent towers against a clear blue sky, "Vistas" offers panoramic views of its landscaped surroundings. Tulip White is one of our Mega-housing Projects that has been developed considering superior tastes of modern day individuals who wish to have an abode that offers them all the benefits combined. Tulip Purple has been designed to provide all sorts of convenience to home owners where they can live a relaxing life with nothing to worry.